Following her previous look, Sonam Kapoor posted another look to her instagram page ahead of her attendance at the 'Sanju' trailer launch yesterday(May 30th). 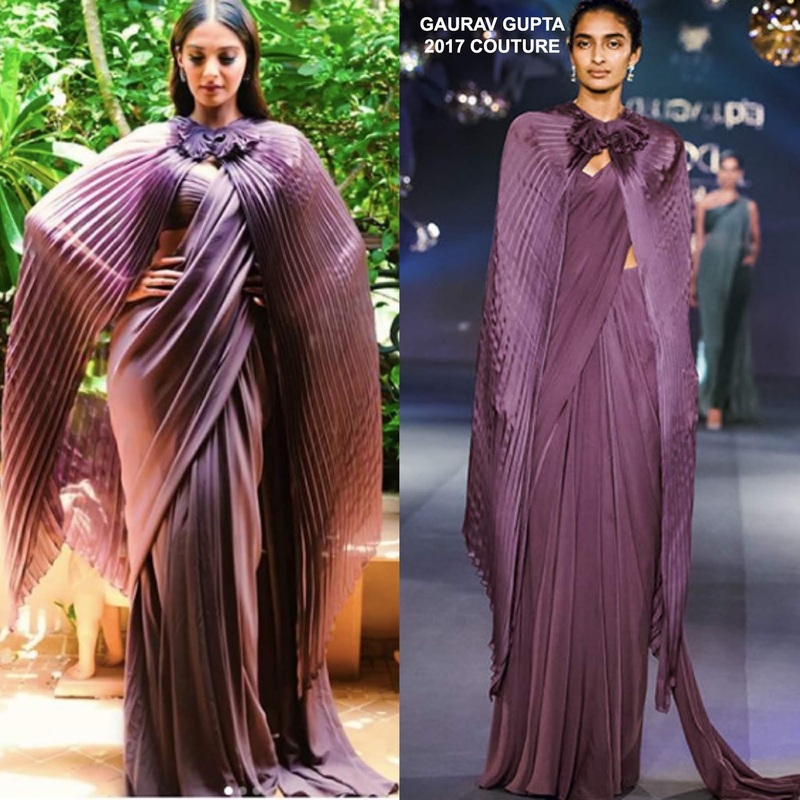 She posed for the gram wearing a plum GAURAV GUPTA 2017 COUTURE pleated sari dress with a matching pleated cape, a low open-back and a draped panel. Love the color and Sonam looks effortlessly beautiful. Kinda wish she wore this at Cannes. Accessorized with AMRAPALI earrings, she finished up with a flawless beauty look. Are you feeling Sonam's instagram style as well?